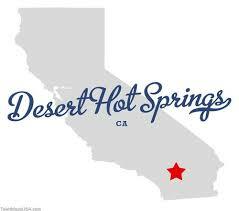 Desert Hot Springs: Serial Defaulter? Carmen Reinhart and Kenneth Rogoff popularized the notion of sovereign serial defaulters – nations that repeatedly go through cycles of fiscal mismanagement, default and recovery. High profile serial defaulters include Argentina, Greece and Venezuela. Could a US municipality also become a serial defaulter? Investors may wish to look at the small California City of Desert Hot Springs for a possible answer. As Bitvore users learned from local media last week, the city just declared its second fiscal emergency in just eight months – but its history of financial crises began many years earlier. The city initially defaulted on municipal bonds in 1999 and filed for bankruptcy in 2001. While this previous crisis is often attributed to an adverse court judgment, my research paints a more complex picture (see http://www.treasurer.ca.gov/cdiac/publications/probabilities.pdf starting at page 59 for details). The city’s 1999 default followed multiple years of deficits which were exacerbated at the end by issuance of high interest revenue anticipation notes. Desert Hot Springs’ 2013 CAFR shows $80 million in total debt, about half of which was incurred by the now-defunct redevelopment agency - whose accounts are carried as a fiduciary fund on the city’s books. Much of Desert Hot Springs governmental activity debt is related to the litigation that caused the city’s bankruptcy. In 2004, the city issued $9.725 million in judgment obligation bonds to satisfy an award to Silver Sage Developers. The development firm filed suit against Desert Hot Springs under the Fair Housing Act after the City Council threw out its plan to build a mobile home park. Principal on these bonds does not start coming due until 2023, so they don’t seem to be a major factor in the city’s current troubles. A staff memo prepared ahead of Desert Hot Springs November 2013 fiscal emergency declaration cited persistent deficits as the cause of the city’s problems – repeating the pattern that preceded its 1999 default. The fiscal emergency declaration allowed the city to reduce employee benefits and holidays, but, according to an August 2014 staff memo, these savings were offset by increased CalPERS contributions, fire station costs and litigation expenses. Not mentioned in the memo was the City’s failure to gain voter approval for a special parcel tax on vacant properties in the June 2014 election. The parcel tax would have raised enough money to close the city’s deficit. Now that the Council has once again declared a fiscal emergency, staff can pursue additional major cuts and/or a special election to consider another tax increase. Other options include disincorporation, default and bankruptcy. Since Desert Hot Springs is a relatively small city outside a major media outlet, the best coverage of this city’s ongoing drama is to be found in local newspaper and television station web sites – just the type of content that Bitvore sifts through each hour. Whether or not you have an interest in Desert Hot Springs debt, the city’s story is worth tracking. As other troubled cities return to the bond market, one has to wonder whether they too could become serial fiscal crisis candidates – or even serial defaulters. Events in a small southern California city may offer some insight into these larger situations.